Richard Hatch maintains his innocence on tax evasion. 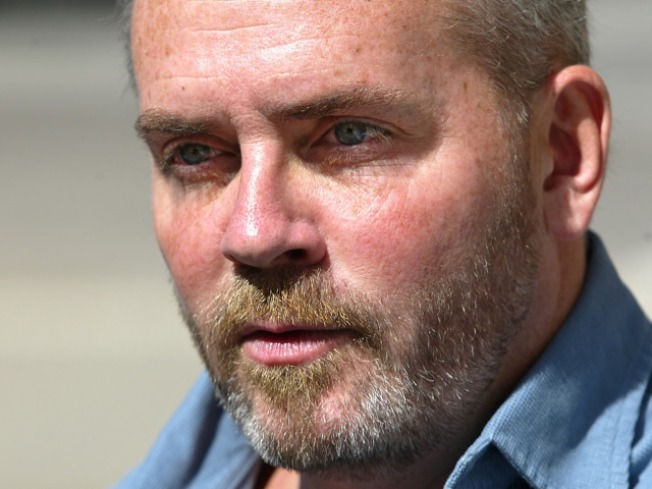 Reality star Richard Hatch, who was freed this week from prison on a tax evasion sentence tied to his $1 million "Survivor" winnings, said Tuesday that he is hoping for a new reality show about his relationship with the children conceived from his sperm donations. Hatch, 50, was released Monday from prison for violating the terms of his supervised release in the long-running case. Hatch maintains his innocence and says he does not owe money to the Internal Revenue Service. "Here I am, subjected to something that can only be described as institutionalized bullying," said Hatch, who spent nine months in prisons in five states. Hatch won the inaugural season of the show in 2000. He was convicted in 2006 of two counts of attempted tax evasion and one count of signing a false tax return. He was released from prison in 2009 but ordered to return after a federal judge ruled he failed to file amended income tax returns for 2000 and 2001. Shortly before returning to prison in March, Hatch, who lives in Rhode Island, said he met a 22-year-old biological son who is living in New Jersey. Hatch said he met the man, whom he identified only as Devin, through the Sibling Donor Registry, which helps connect donors and children. They took a DNA test to confirm their genetic ties, he said. Hatch said another biological child, whom he identified as a 22-year-old Maine woman named Emily, visited him in prison. "It was additionally challenging to be wrongfully imprisoned knowing that these children were coming forward," Hatch said. "I told the court that beforehand. I explained this is a fascinating time in my life when I was at a place where I wanted to get to know these people who are my children who have come forward and want to get to know me." He also views the show as a way to help the public understand the relationships between offspring and donors. "The offspring want connections with their biological donors because of all kinds of varying reasons from health to emotional to whatever they are," said Hatch. Hatch said a production company was involved in plans for a TV series about his encounters with his children but that no plans have been finalized. He declined to name the production company. Hatch also has an adopted son, who attends the University of Rhode Island. Hatch's discovery is one of the most interesting encountered by Wendy Kramer, executive director and co-founder of the Sibling Donor Registry. Kramer said she's known Hatch for years and that they have discussed working on a television project. Hatch said he has no regrets about participating in "Survivor" and would like to compete in "The Amazing Race," which also airs on CBS. Hatch remains on supervised release for the next two years and two months. Under the terms of his release, Hatch must pay 25 percent of his gross income to the IRS to pay off his taxes for 2000 and 2001, court records show. He also cannot leave the country without court permission. Hatch said the travel restriction means he is not free to visit his spouse, who lives in Argentina. Hatch, who is gay, said he married eight years ago in Nova Scotia. He asserts any taxes owed on his $1 million "Survivor" prize aredue to the government in Malaysia, where the series was filmed. Hatch also says it's up to CBS or the show's production company to pay any tax bills. A CBS spokeswoman did not immediately return a request for comment Tuesday. Federal prosecutors said the IRS calculated Hatch owed $1.7 million in taxes, penalties and interest as of April 2010, which Hatch disputed. "Never has a cent been determined to be due," he said. But the court has examined the evidence in Hatch's case numerous times and determined he has not paid taxes that he owes, said Jim Martin, a spokesman for Rhode Island U.S. Attorney Peter Neronha. The U.S. Tax Court is also reviewing Hatch's case.